SAN FRANCISCO, September 20, 2018 – CoinBundle launched its investment platform today that enables users to buy bundles of cryptocurrencies easily instead of single coins. Users can invest in curated bundles based on their risk profiles and investment strategies with one click for the first time. Investments will be stored securely with a qualified custodian and insured against theft by Lloyds of London, making CoinBundle the only bundled crypto investment platform to get this distinction. The company is backed by several of the earliest investors of crypto-unicorn CoinBase, including Y Combinator, Initialized Capital and Funders Club. Switch VC and Joe Montana’s Liquid 2 are also backing the company. Going forward, CoinBundle will focus on enabling the next billion users from emerging markets to take full advantage of investing in cryptocurrencies, participating in the New Internet (Web 3.0), and build an open eco-system for crypto ETFs. Users can invest in 3 bundles initially, developed by the in-house finance team after extensive qualitative and quantitative research: Conservative (CNS2), Aggressive (AGR10) and Emerging (EME10). Each bundle represents a unique investment strategy and philosophy for investors. The company has also developed additional thematic bundles that are in final stages of testing and will be added on the platform shortly, such as the Eco-Friendly, Halal and Asian Tigers Bundles. CoinBundle is building an on-ramp for people in emerging markets to invest in baskets of tokens that match their own risk profiles. They are paving a way forward for cryptocurrency infrastructure that's accessible to the next billion users. More features, such as iOS and Android apps, advanced trading for experienced investors, auto-investing and limit orders will be released shortly. In addition, investors and influencers will be able to create custom bundles and publish, promote and sell them in an open marketplace to earn commissions. CoinBundle also added a global finance leader Katherine Hensel to its Board of Advisors. Katherine previously founded and was the Managing Partner at Sage Asset Management, a hedge fund with over $1 Billion in assets. She has also served as Chief Investment Officer at several multi-billion dollar financial institutions and family offices. She joins Sir Michael Barber (former head of McKinsey and Company’s Education Practice, Chief Education Advisor at Pearson) and Michael Sinclair (Executive Director of the Harvard Ministerial Leadership Program) on the board. CoinBundle has also partnered with several leading tokenized and decentralized projects to give users from 165 countries their first taste of Web 3.0 products through its BundleRewards platform. The team believes this is a true leapfrogging opportunity for emerging markets to adopt the decentralized internet and its associated tokens rapidly at scale. The CoinBundle team is in conversation with national level governments and is on track to have the world's first cryptocurrency ETF listed on a national exchange. It has already received approval for a cryptocurrency exchange license in the Philippines alongside only a handful other leading blockchain projects globally. 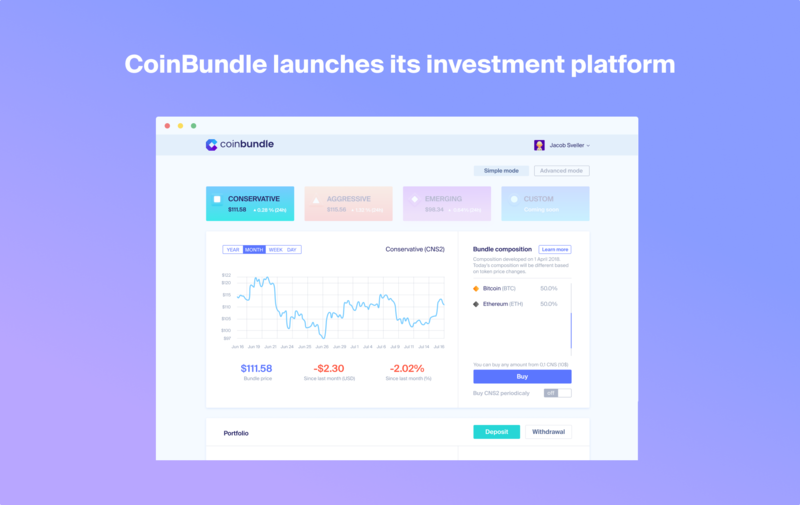 CoinBundle is a cryptocurrency platform which is bringing the next billion people to invest in CryptoCurrencies and participate in Web 3.0. The company gives new investors the easiest way to build their crypto-portfolios based on their unique preferences and invest responsibly, while minimizing risk through diversification. CoinBundle also enables new crypto-enthusiasts to earn crypto by investing their time in its BundleRewards platform. The company provides a wealth of educational resources for first-time investors, its Medium Blog being listed as one of the ‘Top CryptoCurrency blogs’ in the world. CoinBundle is backed by top Silicon Valley VCs and investors such as Y Combinator, Initialized Capital, Tuesday Capital, Switch VC, Liquid2 Ventures, FundersClub, and Amino Capital.